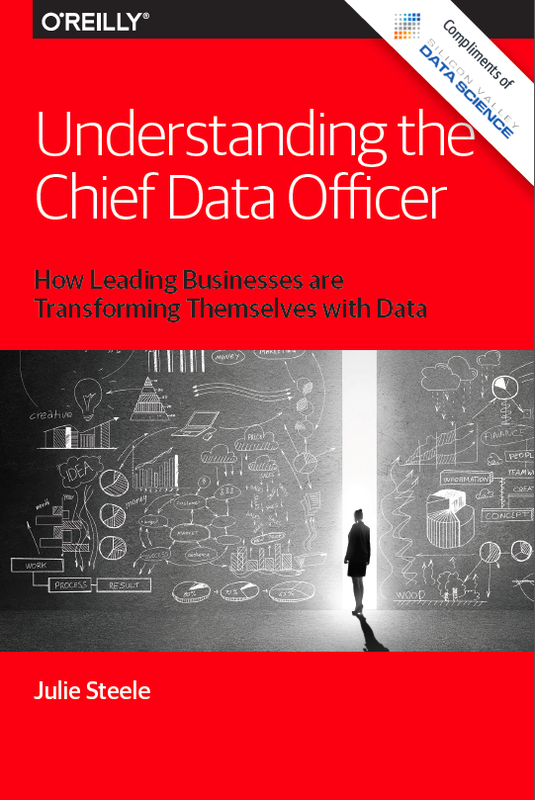 The Chief Data Officer (CDO) is still a relatively new position and consensus is still emerging about the exact job description, reporting structure, or qualification set. Many large companies have been hiring CDOs to oversee the process of creating a data strategy, or to oversee compliance efforts in highly regulated industries. Although there are as many CDO implementations as there are organizations that employ them, some distinct patterns have emerged. At Silicon Valley Data Science, our focus on data strategy has given us a window into how various organizations are thinking about data at the executive level. In this highly interactive online seminar, join SVDS Director of Communications Julie Steele and San Francisco CDO Joy Bonaguro for a conversation on how this important role is being used now, and its attendant challenges, as well as how it is evolving and what it will look like in the future. Register now to attend the online seminar on Thursday, November 12, at 11am PDT. Julie Steele is Director of Communications at Silicon Valley Data Science. Julie finds beauty in the clear communication of ideas. She has spent her career writing and editing specialized books and reports for industry professionals, including two books on data visualization. Joy Bonaguro is the first Chief Data Officer for the City and County of San Francisco, where she manages the City’s open data program. Joy has worked from the birth of the open data and open government field, spending more than a decade at the nexus of public policy, data, and technology. We aim for a highly interactive and relevant event. When you register, we will ask a few questions to help us tailor the seminar, in particular the examples and Q&A sections. Registration is free of charge, but space is limited! When you register, we’ll send you a PDF of the report written by Julie Steele and published by O’Reilly Media, Understanding the Chief Data Officer: How Leading Businesses are Transforming Themselves with Data. You’ll find this report to be helpful background for the topics discussed at this event.